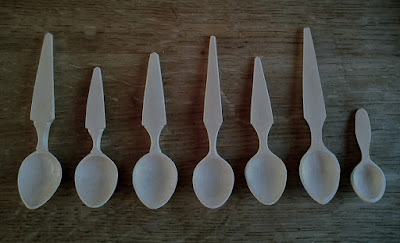 A very timely blog post Jojo, I'm at work having yoghurt for breakfast and using… a horrid plastic spoon. I was having just this thought when I saw your post. 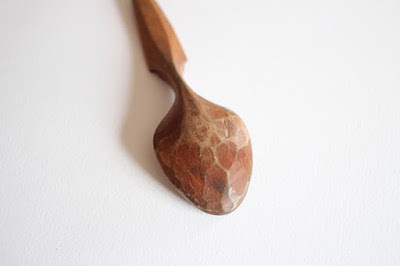 A pocket spoon for me is my next project, yours looks great. nice. I travel with a spoon most of the time…sometime I forget and then…those nasty plastic spoons, yuk. Great looking spoon Jojo and great story too. Glad to see the blog alive and well. Good to hear these thoughts. 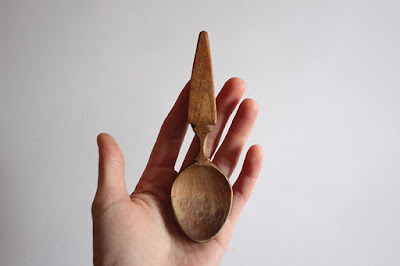 Pocket spoons all the way! I give away hundreds of turned bowls a year. The hope for me is to create an heirloom, something to be loved and used by those who received the gift. The version of 'priceless' you describe above for your pocket spoon is the true meaning of the phrase. I totally enjoyed this post, thanks. If there's a washing up bowl around, a bit of hot soapy water. If there's a tap, a quick rinse. If there's nothing I'll give it a good lick and stick it back in my pocket! I do that when I'm visiting my mum too, she has this awful habit of trying to scour my lovely hard-earned patina away!